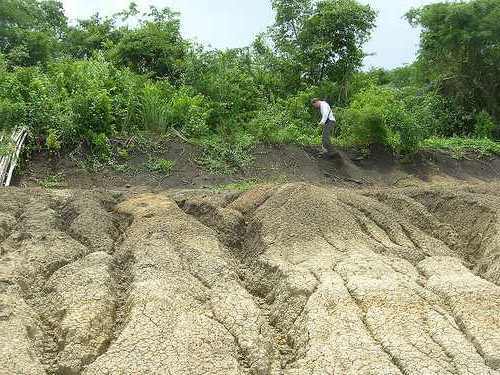 From Mineralogical analysis it is found that black cotton soils consists of kaolinite and montmorillonite. High percentage of montomonillonite renders high degree of expansiveness. These property results cracks in soil without any warning. These cracks may sometimes extent to severe limit like ½” wide and 12” deep. So building to be founded on this soil may suffer severe damage with the change of atmospheric conditions. An increase in lime content of 0 to 9% results in plasticity index to decreases from 47% to 5% and linear shrinkage to decreases from 11 to 3.6% respectively. As plasticity index and linear shrinkage decreased with the increase of lime content, a mixture of both lime and cement is necessary for adequate stabilization of road bases for heavy wheel loads on the black cotton soils. Previously derived results from African and Indian black cotton soils are also matched with these results. we have already noticed that black cotton soils of different region show considerable variation of properties. So while explaining any property, we will try to mention region where the tests were conducted. In Hyderabad, the formation of this soil is similar to lentil seed; their subsurface structure takes shape like double-convex lens.